Tony here: Many executives in their thirties and forties, and most in their fifties, begin to start thinking about cutting the corporate ties and spending the last part of their working career ‘going it alone’ in their own business. This section helps you to look at the options. Many executives are fortunate enough to be able to take a salary cut in their fifty plus years and the prospect of working from home and offering a specialist service as an independent consultant or freelance professional really appeals. Others want to develop a high fee earning consultancy or freelance professional business. These are the most asked about businesses in our experience. This is why BAB Limited wrote the best selling manual and support service “The Essential Guide to Earning a Living From Independent Consultancy” and why we also run the one day workshop, “So you Want to be An Independent Consultant or Free-lance Professional?” in many major locations around the UK. Our top tip is that however much or little you need to earn from independent consultancy or being a freelance professional, you must set it up as serious business with a well defined ‘offer’ that you must always keep up to date and you must concentrate a significant percentage of your available time on marketing and selling your service. Interim Management is another sought after way for executives to turn their expertise into income. Many executives don’t relish the prospect of constantly marketing themselves and their independent business service and many also prefer working in a team in an office. Interim management may be the answer and it is on the increase. Many independent consultants also seek interim management assignments. To do both consultancy and interim management is possible, but the nature of a full time, six or twelve month intensive, interim management assignment can make it difficult to market yourself as a consultant and meet client requests as well. If you are, or have operated, at board level, then you may be in demand with your particular expertise as a non executive board director. Typically working 4-6 days a month on your board responsibilities, assisting on strategy and mentoring executive directors, you may expect to receive £12,000 or more. Government Agencies, trusts, charities and other non profit organisations also seek non executive directors. It is more likely that you will find board appointments either in companies within sectors you fully understand, or with companies in related sectors that require your specialist knowledge as well as your board effectiveness. Like interim management, there are a number of the large executive recruitment agencies and some professional institutes that provide board appointment services. Then, if you want an alternative to the Ernst and Young and Institute of Directors’ sites to which you can link to from the Independent Director, or all the other big names in Executive and Non executive Board recruitment, you could try one of the numerous subscription services for which you pay a fee to help you get a position. I have no experience of using them and I’m very wary of recommending one, so let me know if you’ve been helped by any. A relatively new one that started in 2003 is called the Non Exec Register and its website intrigues me. It costs £50 a year plus a £50 initial registration, so please understand that I don’t know if it works. Clearly this category of ‘what business should I run?’ is almost as popular as those above for executives seeking to go it alone. Indeed, if I hadn’t been KIPPERed (Kids In Parents’ Pockets Exhausting Retirement Savings) I would be running my own sports and fitness media shop. The great news is that there is ever increasing support available, most of it free, to help you turn your dream business into a reality. The Government is very interested in assisting Golden Entrepreneurs and a non profit making organisation called the PRIME INITIATIVE has been set up with this purpose in mind. PRIME is linked to many of the Enterprise Agencies in the UK (I’m honoured to be a Vice President of the National Federation of Enterprise Agencies) and other great start up organisations like Inbiz. 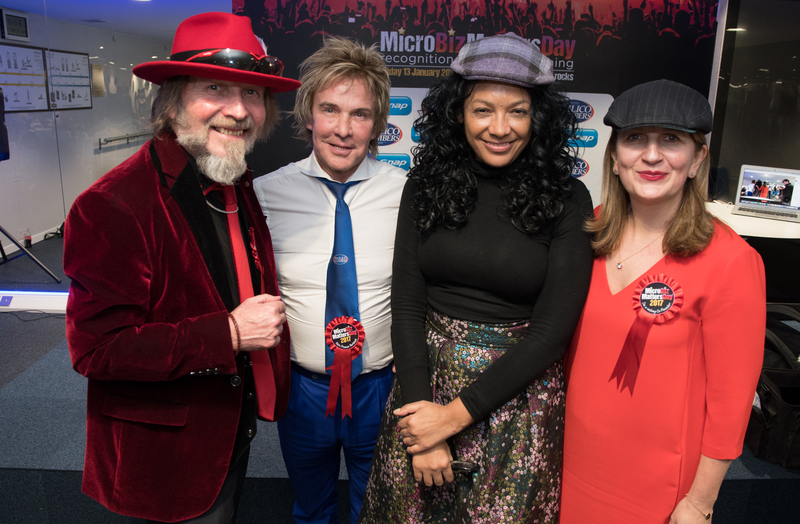 You may be gripped by the entrepreneurial spirit (even though I’ve co-run my own business for eighteen years I just can’t help thinking of new ways to build a mega-business). It is likely though that you’ll need some other key people to help you test your idea and start successfully. These people may be friends or relatives, professional advisers, bankers, potential partners, future key suppliers, future key customers or potential distributors. You will almost certainly require investment money to help you turn your idea into a successful business. If it is likely to be a business requiring investment and staff and looking to grow over the first few years, then you’ll find there is a lot of government and private sector support available to you. In many ways the government’s Small Business Service, which delivers its services through Business Links around England, was set up for you (in Scotland it is Scottish Enterprise and in northern Ireland InvestNorthern Ireland and in Wales the Business Connect Network can help). So start off by going to www.businesslink.gov.uk/bdotg/action/home. Many of the banks are equally useful, for example clearlybusiness.com. Then, if you want to look for business angels or venture capitalist matching organisations that will help finance your venture, subject to a great plan, pick up all the information you’ll need to put together before approaching business angels and venture capitalists. If you need self-employed Sales Agents to sell your products or services on a commission-only basis, then talk to AgentBase – the UK Sales Agent Register on 0800 018 3034, or visit agentbase.co.uk. Every month on one trip from London I buy one or both of the main franchise magazines from WHSmith on the station. I admit to a bias and I primarily look at those franchises that are members of the British Franchise Association because I reckon, why spend £15k to £200k on buying a format business to operate if you’re unsure whether the format is really proven in practice? You’ll find that the number of recruitment, training, accountancy, business-to-business services, print and reprographics, business coaching, ICT, courier and other franchises more suitable for executives continually increases, but if you’ve got good sales and management skills, then many of the franchises serving the public, rather than businesses, are still worth a look. The British Franchise Association website can give you a lot of information about the benefits of franchising and what to look out for. Although I work in London and Sheffield most of the week, I know from living in Scarborough that one of the most popular businesses for Golden entrepreneurs to go for are guest houses and tourist attractions (from exhibitions and specialised gifts to cafés and leisure facilities). As mentioned above, you’ll find most of these kind of businesses available for sale from www.daltonsbusiness.com. If you go to the website of the British Hospitality Association, you’ll find lots of useful information, plus a ‘Strategic Links’ button which will take you to the trade association (e.g. the Restaurants’ Association) responsible for each type of business. If you’re looking to buy or lease a pub, then Daltons above is great, but I really liked finding out more about it from The Union Pub Company’s web site, which also tells you about the training they provide, linked to the British Inn Keeping Institute. See what you think in www.tupc.co.uk/default.asp. I think there are four main types, of which the biggest, in terms of people involved, is direct selling. Direct selling includes network, referral and multi-level marketing and I really enjoyed my time as Chief Executive in the mid eighties of one of the leaders in this field – Amway UK. Whether it is household, personal ( e.g. cosmetics, skin care, jewellery), clothes, nutrition, fitness and lifestyle products or services (e.g. utilities and telecom) that you sell, you will normally only increase your earnings to a full time business income when you also recruit and build a network of other distributors, when you support and for when you receive bonuses from their sales to customers. Of course, many golden entrepreneurs like to have a portfolio of ways to build their independent income and joining a direct selling company can be an ideal part of the portfolio. You can find links to all the Direct Selling Association member companies and understand the safeguards and regulations in place to protect you at www.dsa.org.uk. When it comes to looking at direct selling businesses, I’m also a sucker for reading every page of Making Money magazine. They have a website too, www.makingmoney.co.uk, which includes every kind of opportunity in direct selling and in franchising. Well worth a look. You may also wish to become a dealer or distributorship with premises to hold and supply stock from for a UK manufacturer or distributor. A friend of mine built a highly successful business with office furniture dealerships and another colleague with fork lift trucks. These often require quite a large financial commitment, but if you are a sole dealership the manufacturer will assist you. Searching for dealership opportunities in industry sectors in which you’re interested is usually speeded up by a call to the appropriate trade association to find out which companies offer dealer or distributorship. There are so many other, (particularly home based) opportunities available today that may not be mentioned in the business categories above, that it would be foolish to try to list them all. A Google search will give you hundreds more options. In our own e-shop you can very cost effectively buy a ‘how to’ book on all the proven opportunities that executives tend to look at more often than any others. Click here to access our EntrepreneursUK site and follow the links to our online shop. If you just want to develop your ideas for your future ‘going it alone’ career then visit our site at Entrepreneurs UK – we probably have a service to help you. "This site and hosting is provided by an independent UK business called Freeola. I've been using their products and service since 2011 and I'm delighted to recommend them..."
Tony, while running his businesses, has held many NED and Vice President positions for national organisations which support enterprise and entrepreneurs. In 1996 he founded the SFEDI Group – the Sector Skills Body (includes the Institute of Enterprise and Entrepreneurs) for Enterprise, which he co-owns. He is Patron of the John Cracknell Youth Enterprise Bank, Director of Yorkshire in Business and is a judge for the Great British Entrepreneurs Awards. 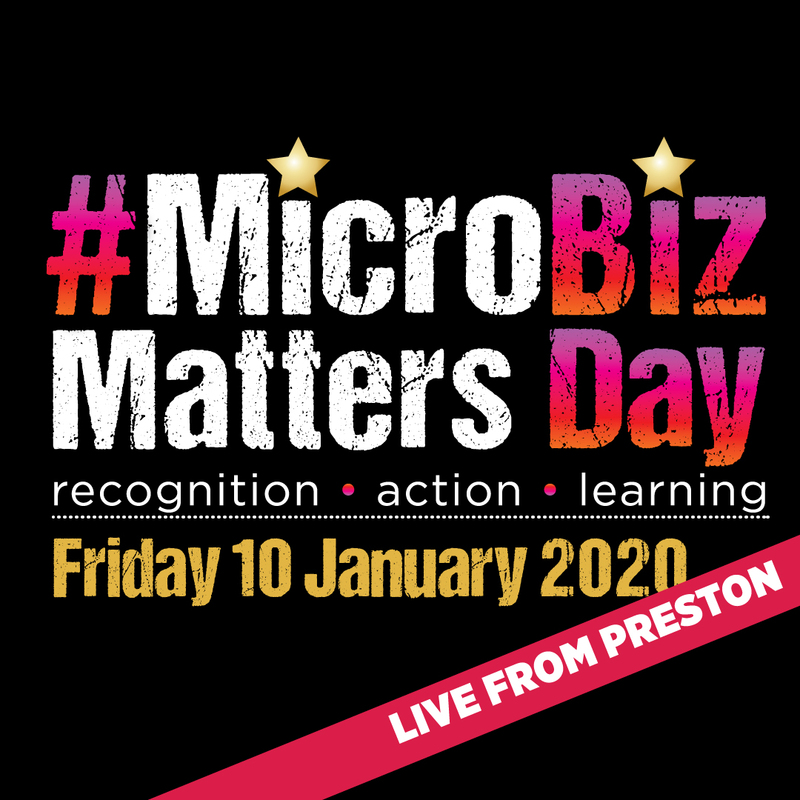 Tony is the co-founder, with Tina Boden, of the #MicroBizMatters movement and annual #MicroBizMatters Day. Tony was honoured in 2001 with an OBE for services to small firms and is a recipient of two Lifetime Achievement Awards for Enterprise. He is in the top 100 of UK influencers on Entrepreneurship. He has written five business books, three fictional satires including ‘Freedom from Bosses Forever’ and one novel – ‘Loose Cannon’.